New or Early in Your HR Career? 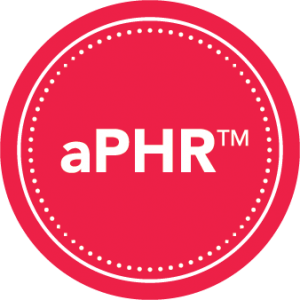 The aPHR certification is the first-ever HR certification designed for professionals who are just beginning their HR career. Jumpstart your knowledge and confidence and become proficient in HR operations, employee relations, recruitment and compensation. We’ll help you get ready! HRCI’s Associate Professional in Human Resources™ (aPHR™) is the perfect certification to help fast-track your career growth and provide you with the confidence to launch into the HR profession. To be eligible for the aPHR, you must have a high school diploma or global equivalent. No HR experience is required since this is a knowledge-based credential. Select from a variety of ways to prepare for the aPHR exam. From live classes in the Denver area to slide decks and 1x1 coaching, we help you prepare to pass your aPHR exam and earn your certification! We offer fun, interactive classes in the Denver metro area, from Ft. Collins / Loveland to Castle Rocks / CO Springs. early in your career and beginning to take on operational vs administrative responsibilities? responsible for the oversight of your organization’s HR function? seeking to learn the fundamentals of HR in order to be a more effective supervisor or manager to your team? The aPHR prep course is an intensive review of the essentials of human resource management, from employment law to employee and labor relations to compensation and benefits to safety. It serves as thorough preparation for those pursuing their aPHR certification and as a standalone course for non-HR professionals. How do I apply for the aPHR exam? Your application and exam fee are both included in your bundled aPHR prep course package. Approximately halfway through class, your instructor will provide you with a unique voucher code to use at HRCI.org. Simply pop this code into your online application! Is it OK for me to use my friend's HRCP and HRCPP study materials? No, unfortunately not. When you purchase HRCP and HRCPP’s study materials, you agree that they are for your use only.